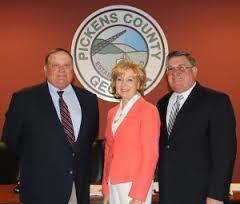 The Pickens County held its regular board meeting on March 17th 2016. The Board signed the Keep Pickens Beautiful Proclamation. FYN would like to remind everyone that April is old tire month where each household can take up to four old tires to the landfill for free during the month. April was designated as Great American Clean up month. Keep Pickens Beautiful will be celebrating its 27 years in existence. The Board also signed the Georgia County Internship Program Grant Agreement by and between the ACCG and Pickens County. The Grant will pay an intern up to 200 hours at $10 per hour for work performed between May 1st 2016 and September 1, 2016. This is at no cost to the county. The intern will help in the Planning and Development office. This is the 2nd year Pickens County has received this grant. 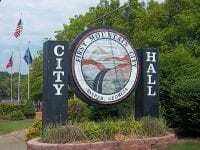 Two rezone requests were approved with both coming to the Commission Board with 7-0 approval and recommendation from the Planning Commission. Both properties are located on Carlan Road in Jasper. The first rezone request by Bryan and Misty Johnson will allow the property to be used for beef cattle. The second rezone request will allow for the owner to clear property to build a home. The Board also moved to allow Commission Chair Rob Jones to research security cameras for the Administration Building. Jones said he would bring the information back to the Board before making final decision on the cameras.